We are committed to providing a personalized shopping experience tailored to each customer’s needs. We currently operate 140 stores across Canada – 70 cities within 9 provinces – Our Canadian heritage is something we are very proud of; both Laura and Melanie Lyne carry designer brands that are made in Canada. Our mission is to deliver memorable shopping experiences to each customer by adapting our well-curated seasonal collections, while always maintaining comfort and fit. Our unique approach to customer service combines a few winning components; technology, each store uses an Ipad to help organize client information and style recommendations; energetic and caring stylists ready to go above and beyond; and a variety of styles for every silhouette. Every woman has the right to feel beautiful. 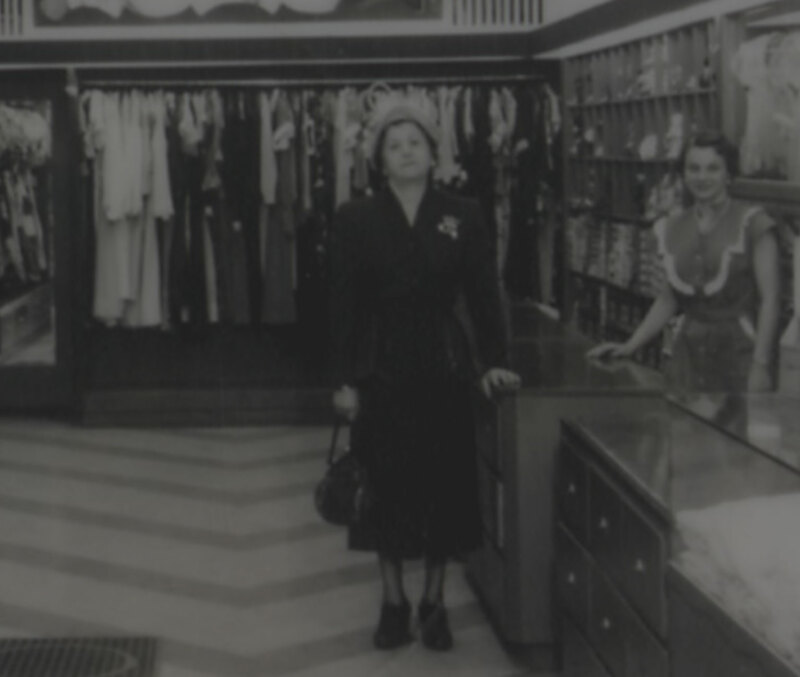 Our family is proud to carry on my great-grandmother's legacy of providing friendly, personalized service to every customer. We are grateful to our outstanding employees for helping us fulfill that promise. Our concept is all about quality, functionality and the creation of an enjoyable and relaxing atmosphere. We offer distinctive store aesthetics for each of our two brands, from window displays to furniture and lighting (a feel that carries over to our e-commerce channels.) Our contemporary and comfortable new-concept stores feature up-to-the-minute artwork and spacious fitting rooms. Primarily located in shopping centres, our stores offer fresh, feel-good fashions from Laura, Laura Petites and Laura Plus all under one roof. A true one-stop shopping destination, Laura stores carry a vast, mix-and-matchable selection of quality women’s wear with an assortment that includes coats, accessories and workwear. We also have a well-earned reputation as a first-choice authority on dresses. Our Melanie Lyne stores carry a highly curated collection of sophisticated, well-tailored fashions from our own in-store brand and from well-known international designers. Always elegant, elevated, and exceeding expectations, the Melanie Lyne woman is polished, timeless, and stylish. We accommodate our evolving customers with a promise to ensure quality, durability, and the timeless-but-contemporary aesthetic that unmistakably marks a Melanie Lyne woman wherever she is. As our brand continues to flourish, our values stay true – offering beautiful apparel and incomparable service.